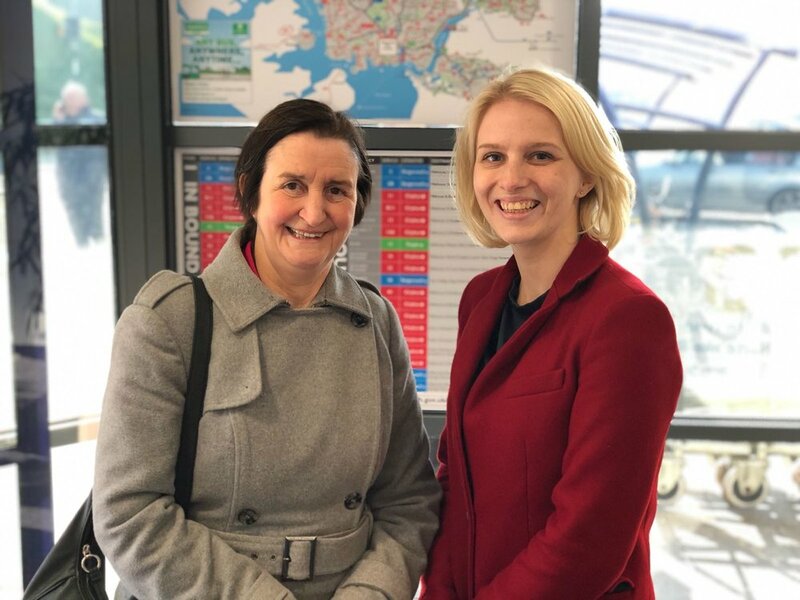 Today I was pleased to welcome Shadow Defence Secretary Nia Griffith MP to Plymouth again, after she accepted my invitation to come to the city following the recent sale of HMS Ocean by the Conservatives. After a morning talking to voters in Estover in the winter sun, we caught up on local defence issues at J's cafe in St Budeaux. We talked about ongoing Labour campaigns to protect HMS Bulwark and Albion, lifting the Tory pay cap on our military personnel, and addressing significant issues in military recruitment contracts.